A woman’s body is amazing. The changes that it experiences during pregnancy, childbirth, and postpartum are nothing short of extraordinary. Included in that is the body’s ability to produce the perfect nourishment for your baby – breastmilk. When you choose to breastfeed, you are embarking on a journey that is rewarding for both you and baby, but it can be riddled with challenges, too. Like all relationships, a breastfeeding relationship will require work on both the mother and the baby’s part. It doesn’t happen instantaneously for many, and that is okay. Babies don’t always automatically know what to do, but remember you are trying your best with what you have. Sometimes you just need to adjust the baby’s latch to avoid pain. Others have found that holding the baby in a different position makes all the difference. Pain can be a big factor in a mom’s decision to continue breastfeeding or not. And while the general rule is “if you’re doing it right, it won’t hurt, but should just be uncomfortable,” sometimes “uncomfortable” can curl your toes. Pain can be an indicator that there is an improper latch, and a lactation counselor or consultant can help. Once your baby learns how to latch properly, and you know what a “good latch” looks like, you’re well on your way to a successful breastfeeding relationship. Other issues can crop up along the way, of course. Many mothers think they don’t have enough milk to nourish their child at first, but the reality is that your baby’s stomach is about the size of a cherry when they are born, and it expands with time as you produce more and more milk. You only need a teaspoon or two at first to satisfy their newborn hunger, and as they grow, so will your supply in order to meet their needs. Some things you can do to support a healthy milk supply are to stay hydrated, and make sure you are eating enough. You will need about 500 additional calories per day. Keeping a food journal may help you ensure that you are getting the nutrition YOU need. The amount of water you drink should be about half your weight in ounces. So, if you weigh 150 pounds, you want to drink 75 ounces of water per day. A final bit of advice: relax! If you are stressed out about breastfeeding, your baby will feel it, and it can make the process that much harder. Every bit of breastmilk you provide to your baby is beneficial, whether you breastfeed for a day, a month, or a year. 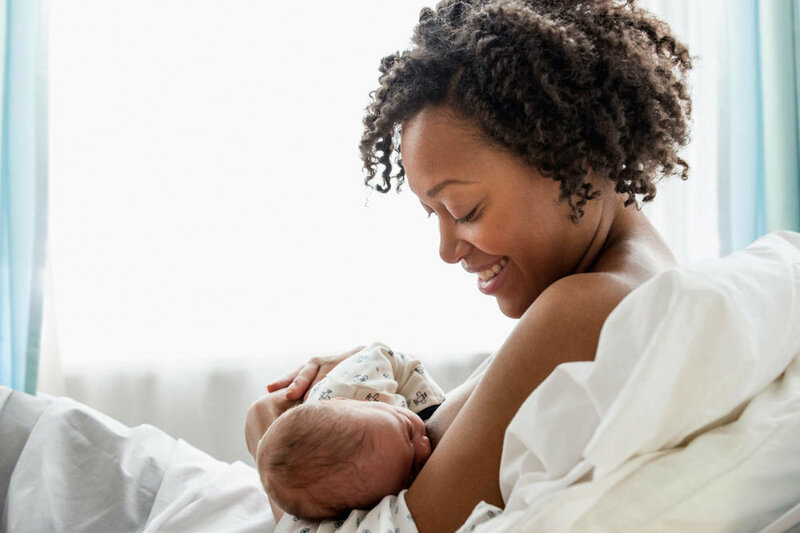 Don’t put so much pressure on yourself to breastfeed for a certain amount of time that it becomes a strain on the relationship with your baby. And if you’re having trouble, there are several resources available to you. Many hospitals offer breastfeeding support groups where you can get your questions answered and issues addressed by lactation consultants or counselors. Many of the family support workers in our Healthy Families Tennessee program are Certified Lactation Counselors, and can provide in-home support with breastfeeding among many other topics. For more information, or to request information about Healthy Families Tennessee, visit our Support for Parents page. Newer PostDealing with tantrums? We're here for you!